This replica was made from a 2007 Mercury 30 hp cowling. 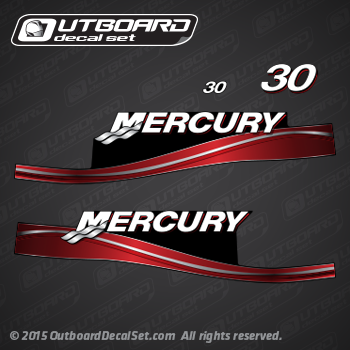 This decal set May need also FourStroke EFI decals, they are sold also separately , see related items for more details add to cart "Mercury FourStroke EFI decal set 37-859269-7". 2005-2007 Mercury 30 hp and 40 hp engines, please send us anemail if you need additional options (price may vary).